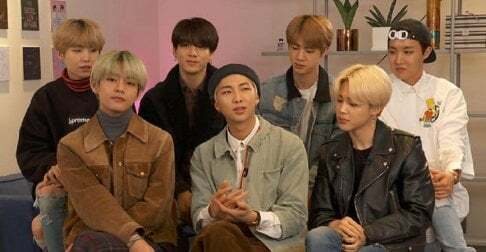 Sunmi credited BTS for the increased global popularity of K-pop. On March 28, Billboard released an interview with Sunmi, who's currently visiting various cities around the globe for the 'Warning' world tour. Billboard mentioned Sunmi's start as Wonder Girls and their promotions in the U.S. When asked how things have changed since then, Sunmi said, "I can't believe it. At the time, there was no section of K-pop on Billboard." Billboard spoke high of Wonder Girls' work in America, and said, "It’s partially because of the groundwork laid by you and Wonder Girls." To this, Sunmi got very honest and said, "No, BTS." You can read the full interview with Sunmi here. Sunmi's being humble. Wonder Girls may not have "paved" the way. But at least they started a little spark for Kpop's western expansion. And considering how times were so different 10 years ago. Even that little spark is worth mentioning. The amount of people who became kpop fans because of Nobody is not a joke. Wondergirls did not pave the way. They might have tried hacking their way through the jungle with a machete. It might Have left an overgrown trail others could potentially follow "marked use at your own risk"
BTS Paved an 8 lane super highway with lights and rest stops and gas stations along the way. "That's actually what Hallyu is. Every successive group builds on the one before. SNSD, Big Bang, and 2ne1 definitely took some machetes and walked that overgrown trail of the Wonder Girls, and made it a dirt path and then a stony path. "